Okay…quick test. How much would you pay for an empty, vintage GIjOE footlocker? $25? $35? Maybe even $50? Sounds about right. Alright then, what if the footlocker in question could be proven to be the very first GIjOE footlocker ever made? Hmm…now a price isn’t quite so easy to pin down. But it’s safe to say your valuation of it would start going up. 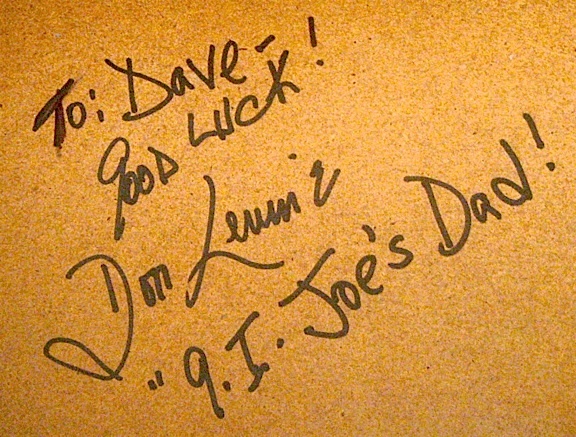 “Years back, I was able to purchase this straight from Mr. Don Levine, creator of the 1960’s smash hit: GIjOE! 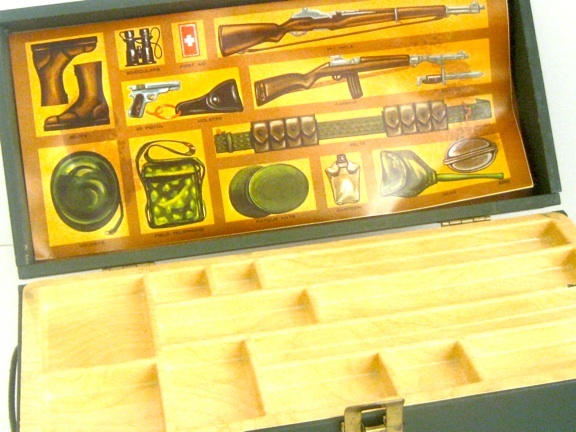 This was Don’s personal prototype for Hasbro’s 1965 production of the GIjOE footlocker. Don signed his initials on the top in the name and rank area. This was for his reference while the footlockers were being designed and put together. It was later stored in Don’s attic and forgotten. This one has a few light dings, but is still bright as the day he made it in the factory. The top sticker is a bit unglued, but otherwise the locker is in minty condition and has been displayed in my glass case with my vintage Joes. 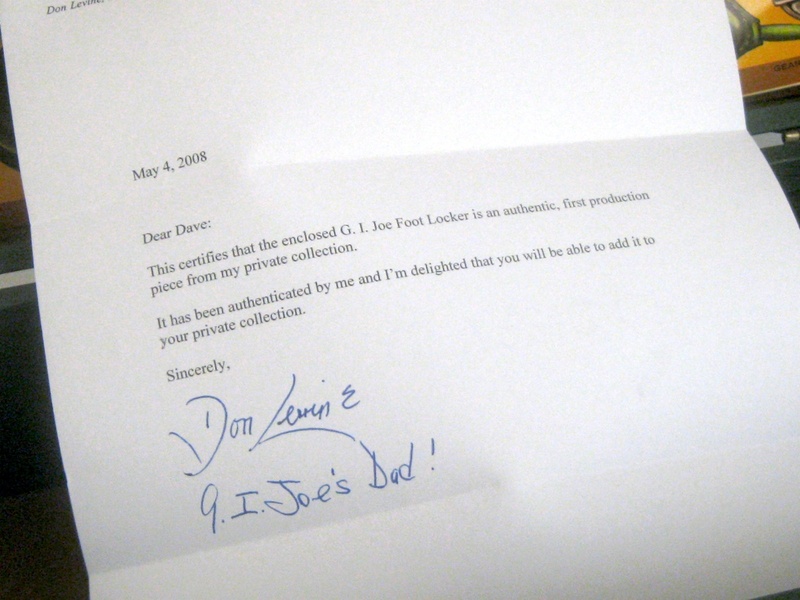 Don was nice enough to write a dated and signed letter of authenticity and has personally autographed the inside bottom of the locker as well. GIjOE Con Exclusives, First Sneak Pics Revealed! 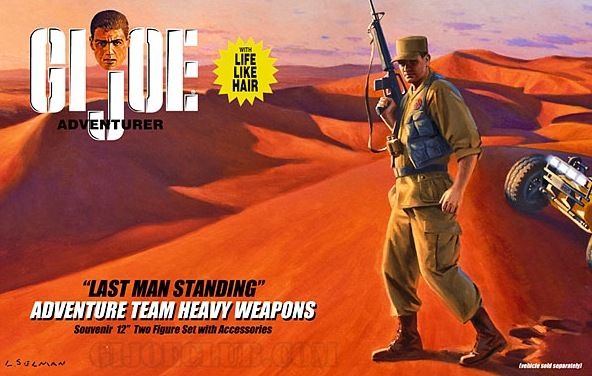 Box art for the upcoming "Last Man Standing" Adventure Team Heavy Weapons set, created by the GIjOE Collector's Club as an exclusive for its 2012 Convention in New Orleans, LA. 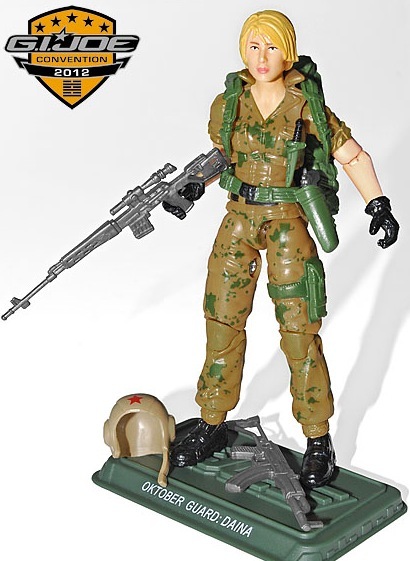 It’s been quite a long wait for GIjOE fans, but the GIjOE Collector’s Club has FINALLY put up some initial sneak pics of its 2012 convention exclusives. Collectors of the “little guys” (3.75″ figures) are looking at a new group called the “Oktober Guard,” consisting (so far) of two males and one female figure. They’re amazingly well-detailed and come complete with removable accessories, weapons and gear. Stunning! 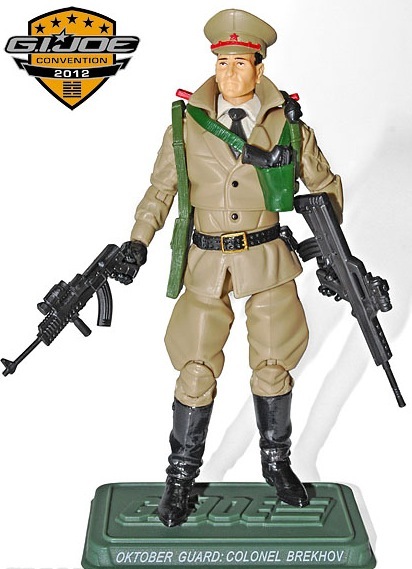 For fans of the 12″ line, the club is showing only some box art from an upcoming set dubbed the “Last Man Standing.” The figure itself looks to be a Desert Adventurer, armed with some “heavy weapons” and wearing a tan AT uniform and a vintage-style cap. Last year’s dune buggy is also shown peeking into the frame, suggesting an implied use with that versatile vehicle. The box art features an excellent painting by GIjOE packaging illustrator extraordinaire, Larry Selman and depicts an Adventurer striding across an almost Martian dunescape. In a future article, we plan to go into greater detail about all the superb work Mr. Selman has done for GijOE over the years, plus his current extraordinary line of military posters and prints. Superb news all around, Joeheads! Both of these sets look very exciting and superbly executed. We’ll keep our eyes peeled and post any additional updates as they become available. 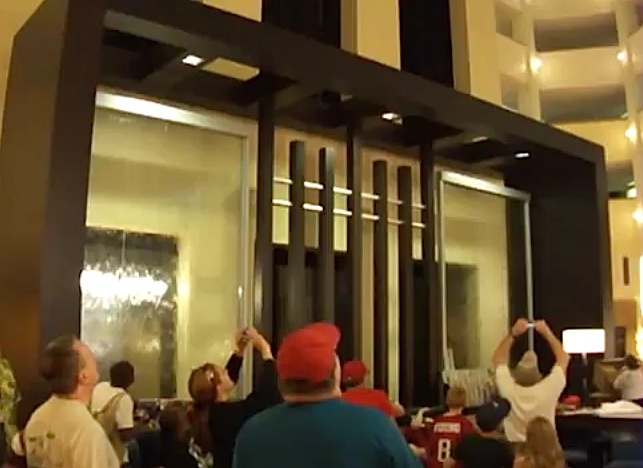 A screenshot from the video shows the viewer is in a "You Are There" vantage point, standing on the floor of the Marriott, looking up at the action. With all the talk about Joelanta, one event has gone largely unmentioned— the Parachute Drop. While this year’s “drop” was a casual, family friendly affair, there was plenty of action and intrigue going on as well. For example, during the event, one bystander began to gather up the fallen parachutists and proceeded to place them on her “For Sale” table! It turned out there was a language problem and things were quickly straightened out, but for a few minutes there, this person thought it was raining free GIjOEs! Then, as families scrambled to catch one of the three elevators to the top floor, others began hurrying back down. This created sort of an “elevator traffic jam” for a while, but there was apparently enough to go around and no one seemed to mind waiting for a minute or two. 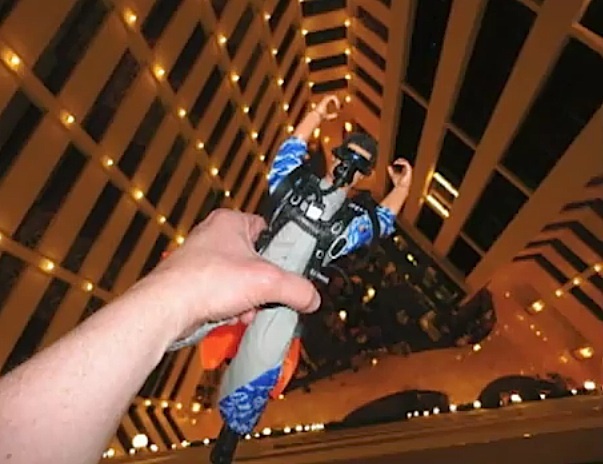 In this screenshot from the video, an anxious crowd watches helplessly as one of the Joes floats into the dark elevator shaft. It's fate is unknown. It was also fun to watch the hotel security guards “working.” Throwing objects over the railing is normally the sort of juvenile activity they would be called in to shut down. But on this night, they too, were happily taking part in the fun. Big, beaming smiles spread over their faces as they moved about helping fans catch and retrieve the falling Joes. They were clearly having a very good time—and getting PAID for it! Unfortunately, some Joes didn’t have a smooth trip down. Many became hung up on light fixtures or plant boxes, some rammed mercilessly into the walls, and one even drifted into a dark elevator shaft. 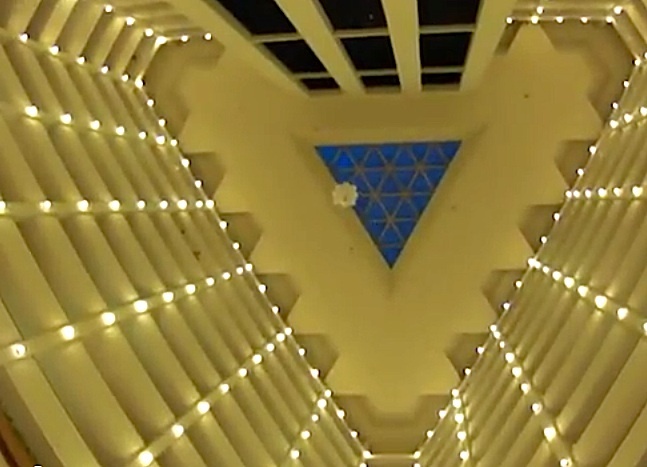 For non-attendees, the good news is that a new video on YouTube documenting the drop places viewers in a perfect “You are There” vantage point, looking straight up from the lobby floor with the other attendees. It’s 2 1/2 minutes of old-fashioned fun. Watch it HERE now. 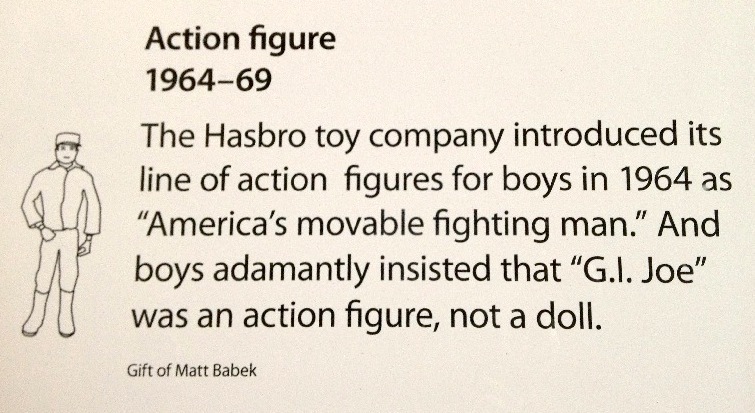 Imagine having your own, personal GIjOE become part of the national collection at the Smithsonian. 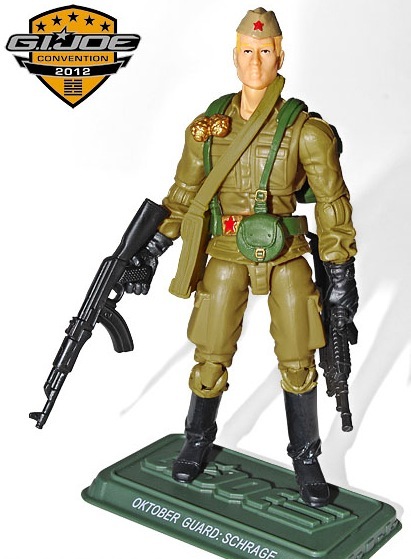 After waiting for several years, long-time GIjOE fan and collector, Matt Babek, was recently notified by officials at the Smithsonian Institution’s National Museum of American History, that the vintage GIjOE Action Soldier he had given them is now on official display. “I’m a longtime vintage GIjOE collector. Back in the mid-90’s, I heard that GIjOE was in the Smithsonian. I did some research and found out that they only had a fuzzy-haired Joe from the 1970’s. I contacted the Smithsonian to let them know that I thought they should also have an original, 1964 painted hair GIjOE in their collections and that I would be willing to donate one. 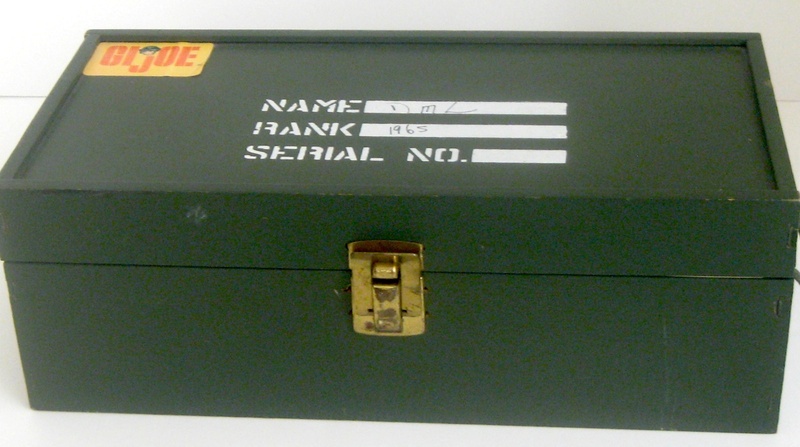 After several months of letters and pictures, in 1996, I was very pleased to learn that the Smithsonian had accepted my gift of an original GIjOE boxed Action Soldier into their permanent collections. Our heartiest congratulations to Matt and his entire family. 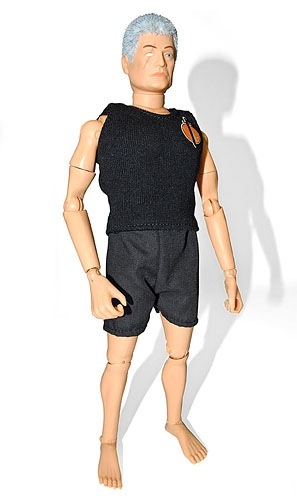 His generous gift of one of his personal GIjOEs has become a “one-in-a-million” action figure. 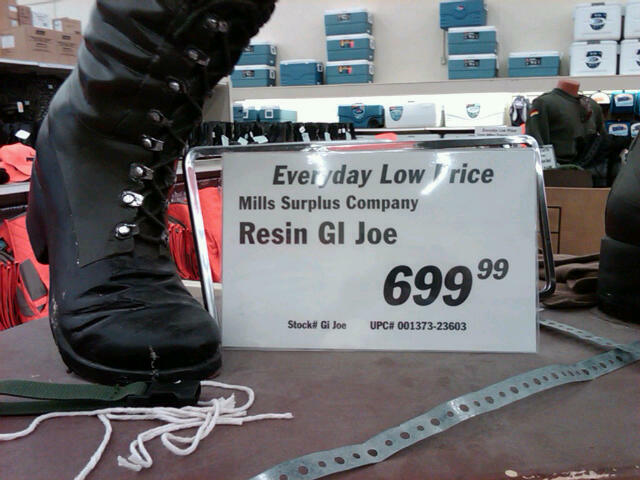 We’re sure this Army Joe will faithfully execute his new duties, to the best of his abilities, for generations to come. Hooah! 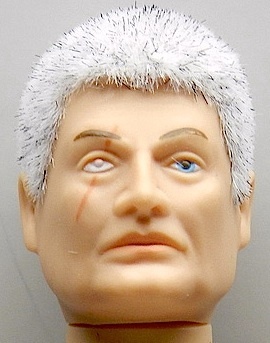 In a dramatic departure from its previous membership incentive figures, this time the club decided to “ugly up” a GIjOE and took the venerable foreign head sculpt (first introduced in 1966 as a “Soldiers of the World” Joe) and changed it by adding a prominent and disfiguring scar through his right eye. The ‘blinded” eye is now painted all-white with some added sculptural dimensionality (see photo at bottom of article), creating a very “evil” overall appearance. Add a perpetually scowling expression and a shirt with an evil dagger logo, and there’s little doubt that Moe is supposed to be the bad guy. Of course, it’s difficult to fight good guys wearing just a pair of boxer shorts and an undershirt. So, the club has also prepared an appropriately EVIL uniform set (sold separately, ‘natch!) 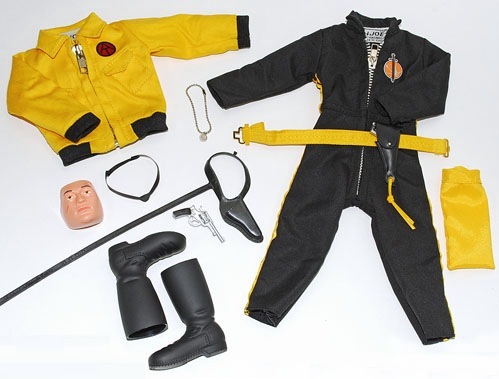 to provide Moe with a black jumpsuit, evil eye-patch, some weapons, a (yellow?) jacket and belt and a pair of storm-troopin’ jackboots. This unique figure is a no-brainer for most fans, who will eagerly and happily add it to their collections. GijOEs have always needed bad guys to fight, and a figure named “The Man of Evil” is certainly a welcome addition to our ever-expanding 1:6 scale world. For a complete “head-to-toe”review of this figure, we recommend you visit Newton Gimmick’s Infinite Hollywood site found HERE. He’s already received his Moe-Joe and has written a great article on what you can expect. 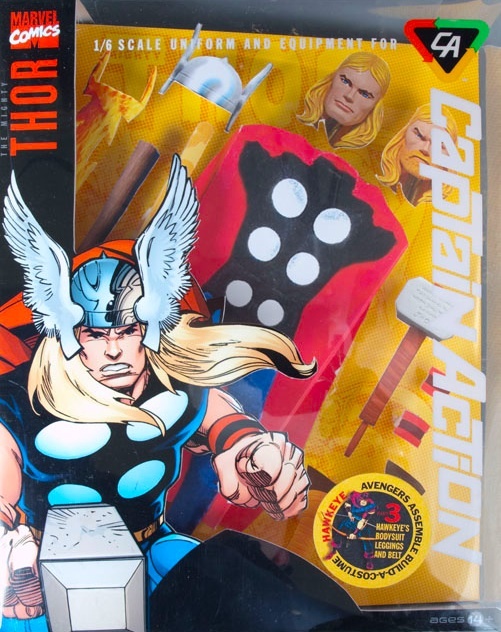 Fans are showing TRU store managers that the return of ol’ Cap is for REAL this time, voting with their wallets in both “brick-n-mortar” stores and online. Our sincerest congratulations to Ed, Joe and all the good people at Round 2 for their well-deserved success. Let Justice Be Done! Atomic Batteries to Power. Turbines to Speed. Let’s Move Out———In Three 1:6 Scale Batmobiles! 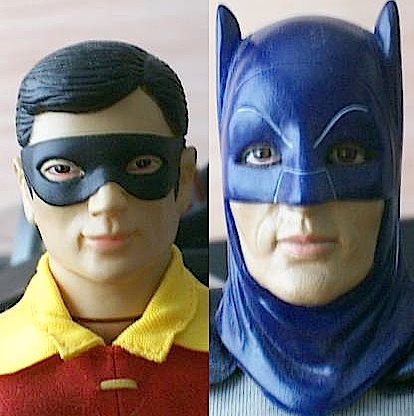 If you grew up in the 1960s, you’re probably partial to the comic art-inspired Batman TV series that starred those two acting icons, Adam West and Burt Ward. Their glitzy and glossy Batmobile zoomed around Gotham City with the whine of a jet engine and quickly set the worldwide gold-standard for superhero cars. The original, full-sized car, was designed and built in California by renowned car customizer, George Barris. 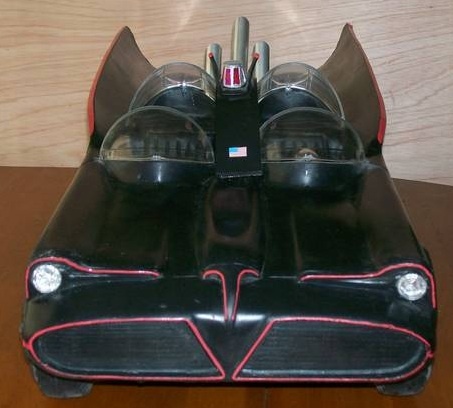 It was replete with exotic crime-fighting gear and gizmos such as a “Bat-Laser” and “Bat-Radar” and set the stylistic design bar VERY high, making it the version fans still cherish the most. For action figure collectors, the only 1:6 scale version of Barris’ Batmobile currently available is from “GIjOE’s #1 Fan,” James DeSimone. A very simplistic rendition, it has to be considered an “entry-level” version at best, both in terms of its so-so quality and price. Its blow-mold plastic construction, like the old IRWIN vehicles, is not of a very high quality, nor are its tires. More of a child’s sandbox plaything than a high-end collectible, DeSimone offers his vehicle only in an unassembled kit form for $300, selling it exclusively from his personal GIjOE Information website found HERE. Front view of Jack Hall's customized DeSimone Batmobile. “I’ll tell ya, Batman was my favorite show as a kid and I still watch it here in Detroit every night at 7pm on WADL TV. I also have a custom Batman and Robin and a James DeSimone Batmobile that I assembled and customized. It turned out better than I thought it would, but I’m no Scott Beckmann when it comes to pimping out rides. First, I painted it and added red pinstripes. Then, I added non-working headlights by taking a pair of toy compasses I found in a bubblegum machine, cracked them open, removed their needles and put tinfoil over the faces before gluing it all back together. 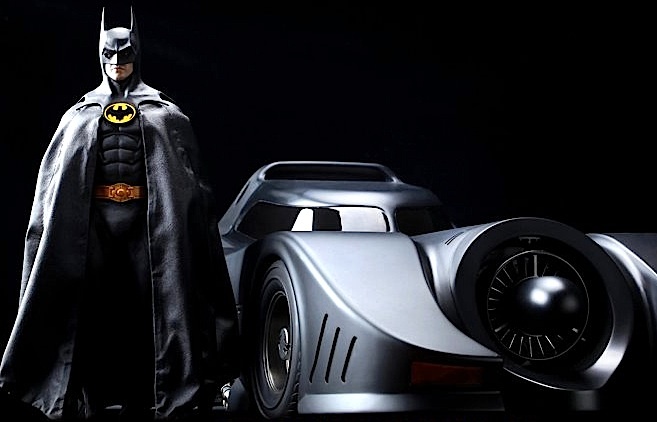 In the 1980s, Tim Burton’s Batman movie starring Micheal Keaton and Jack Nicholson debuted a completely redesigned Batmobile that borrowed as equally from the past as it did from the future. Burton was adamant that the car would spit out real flame like its ’60 television predecessor, but he also wanted an all-new design that better reflected the brooding, moody Batman of his film. The resulting car was a spectacular success. Complete bat-armor is also available. Do you see why this vehicle is going to be so expensive? Whoa! 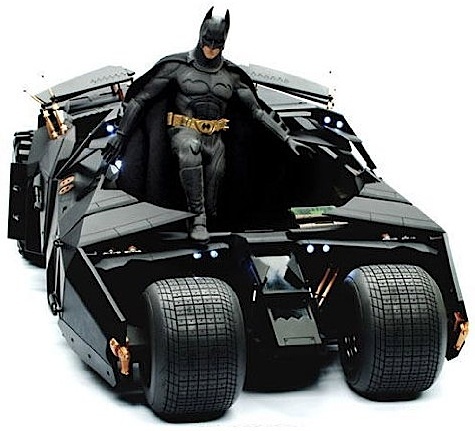 Due out sometime in 2013, the 1:6 scale version of the “1989” Batmobile by Hot Toys looks like it will be best of the three versions by FAR. Right out of the box, it appears to be on another planet quality-wise; vastly superior to the simplistic DeSimone vehicle. But you’ll pay dearly for all that quality. Cotswold Collectibles currently has it listed on their website HERE with a pre-order price of $579. OUCH. Bottom line? This is clearly a “big boy’s toy” for those fortunate few collectors who have exceptionally DEEP pockets. You won’t be pushing this through the mud, watching brittle parts popping off along the way. It’s going to rest securely in a place of honor somewhere in your Man Cave, probably behind a glass cabinet door (dust can wreak havoc on black plastic). If you’re one of those who are lucky enough to ultimately own one, we hope you’ll show it to us someday. It’s gorgeous! Go HERE for more great pics. 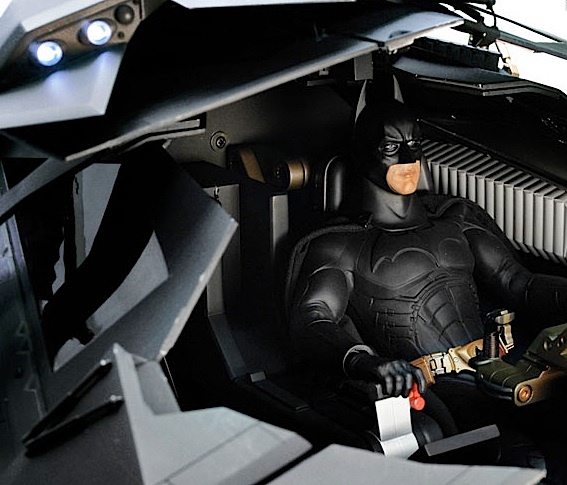 Most recently, the Dark Knight’s Batmobile was again redesigned for the big screen; this time into something akin to an armored military vehicle on steroids. While impressive, many fans consider this newest version to be less interesting stylistically than its predecessors. It definitely looks less “batlike” and more like something the armed forces would be using on the battlefield. Of course, design taste is subjective and this version of the Batmobile definitely has its fans. When the 1:6 scale version debuts sometime in 2012, there will surely be buyers who will pony up the $449 Hot Toys is asking. For additional photos of this vehicle go HERE. 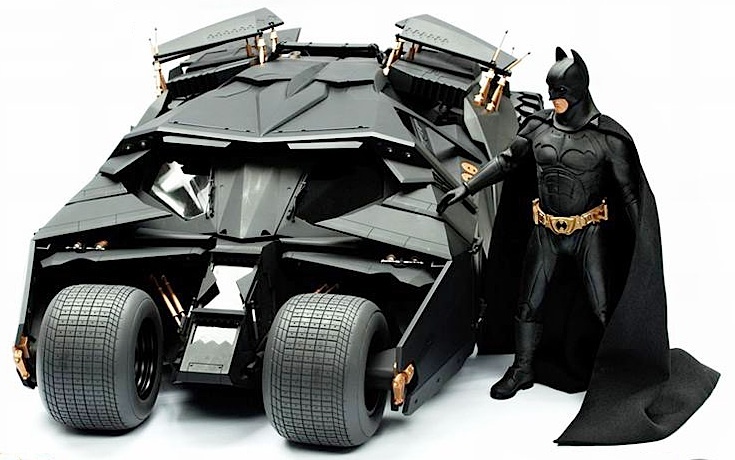 In the end, all versions of the 1:6 scale Batmobile will find buyers, of that there is no doubt. If you ever own any of these unique vehicles, please leave a comment here on The Joe Report and tell us about your experiences. Now—To the Batpoles! 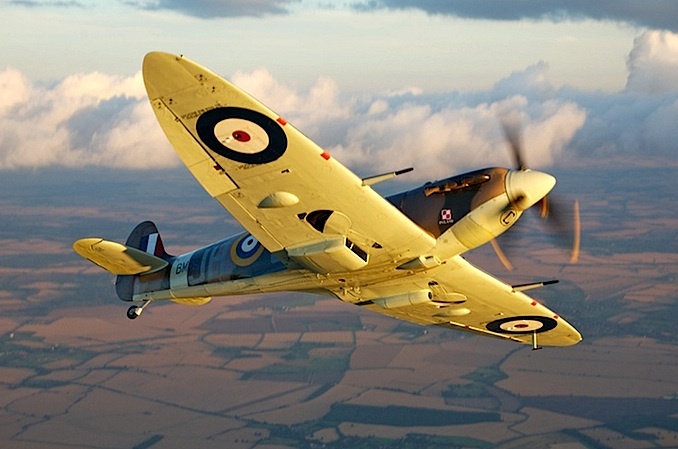 The Spitfire is considered by most aviation and military experts to be one of the most perfect airplanes ever built. It’s streamlined fuselage and elegant wing design are superb examples of aircraft engineering artistry at its very finest. It’s deadly nimble in the air and stunningly beautiful from any angle. The Spitfire’s unique silhouette has inspired the creation of countless TV shows, movies, documentaries, model kits, paintings and toys; each spin-off as popular as the next. 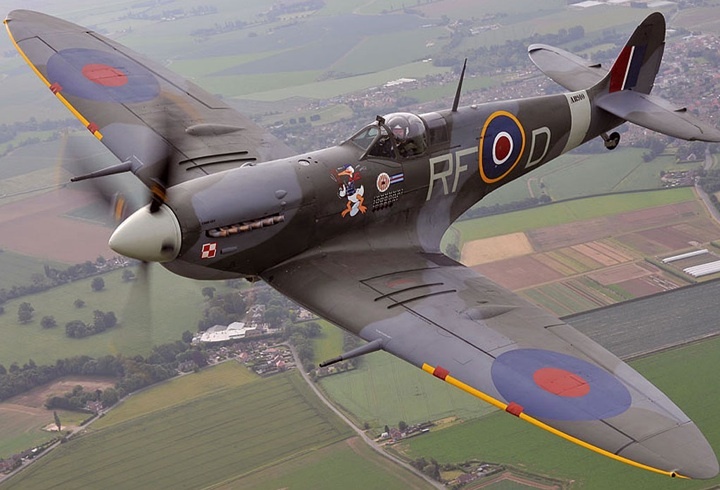 However, for over 67 years, ever since the end of WW2, the remaining number of serviceable, airworthy Spitfires has steadily dwindled, reaching today’s all-time low of just 35 planes worldwide. Fortunately, for fans of the beloved “Spits,” however, the number of available planes is about to almost double, due to the recent astounding discovery of 20 additional aircraft found buried 40-feet underground in Burma. The vintage fighter planes should be in perfect and NOS (New, Old-Stock) condition, having never been un-crated or flown during the war. Apparently, the planes were buried towards the end of the war because they had become obsolete and the Allies didn’t want them to fall into the hands of the Japanese. Of course, enthusiasts of WW2 “Warbirds,” military history buffs and action figure collectors are all equally excited about this stunning discovery, especially after learning that yes, the buried planes were still INSIDE their shipping crates, tarred, lubed and sealed up tight. Bottom Line: Here at The Joe Report, we’re big fans of vintage, WW2 Warbirds. Our deepest thanks, congratulations and best wishes go out to Mr. Cundall for his amazing acheivement. Surely, as his 20 Spitfires are recovered, documentaries will be made and interest in the plane’s role in the Battle of Britain and WW2 will continue to grow. Perhaps we’ll even see the creation of additional RAF-inspired uniform sets! This closeup of the figure’s boot shows astounding detail, plus a card with its price and other information. Click on all photos for close-ups. 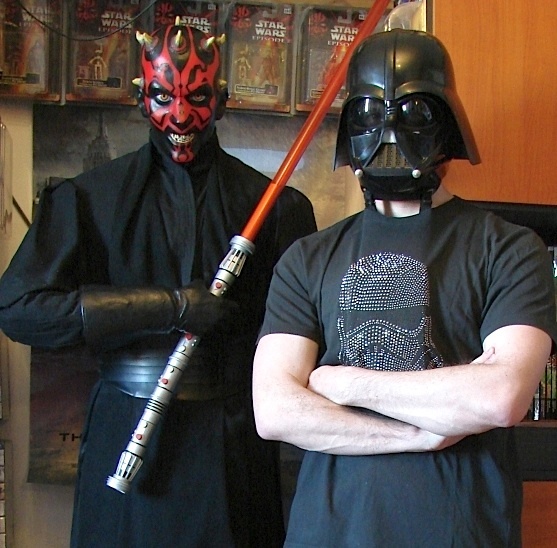 When collecting 1:6 scale action figures just doesn’t do it for you anymore, it’s probably time to move up to “life-sized,” or 1:1 scale. 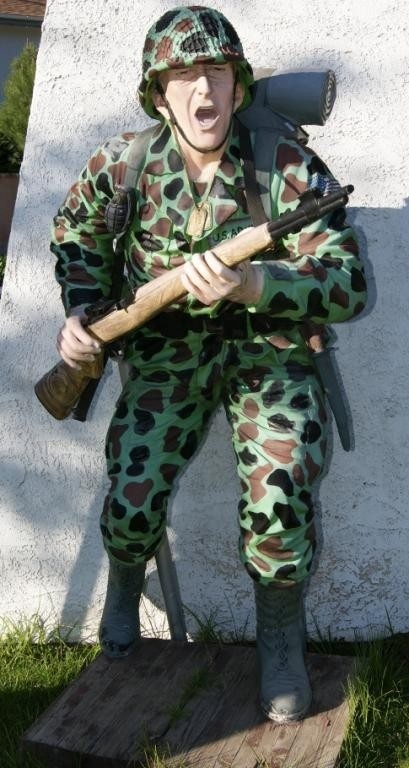 And while you may not realize it, various types of 1:1 scale military and adventure-themed “GIANT Joes” actually do exist, and some fans are starting to give them serious consideration. Upon closer examination, it was evident they were not real, although you couldn’t help glancing up at their eyes every now and then, just to make sure. 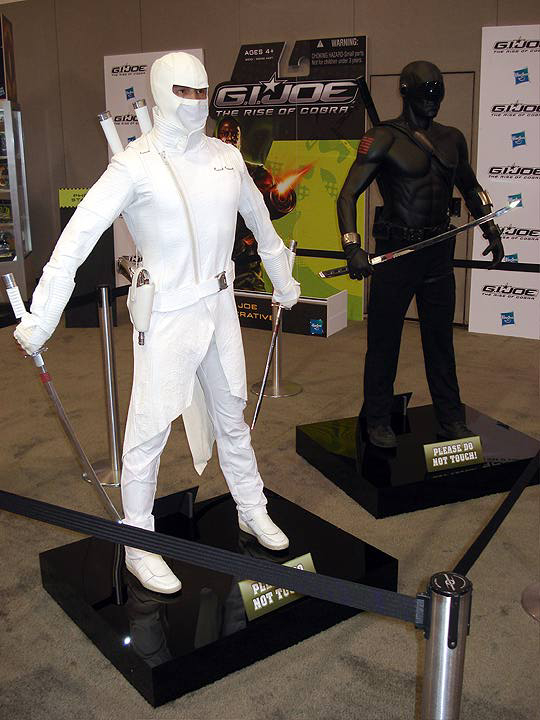 Storm Shadow was clad from head to toe in an authentic, cloth costume. His swords, nunchuks and sidearm all appeared to be made of chromed metal. The belt and holster, all looked like leather and seemed correct. Snake Eyes too, shared very realistic-looking accessories, and his body armor was made of that hard, rubber-looking material we’re so used to seeing from all those Batman movies. Very convincing, professional prop figures. Superb work all around, Hasbro! Of course, once you get past the initial “WOW factor” appeal of 1:1 scale figures, there are numerous drawbacks to collecting anything of such a large size. A lack of adequate space is the first, most obvious problem. Displaying more than a few of these big boys would be pretty difficult inside of an average-sized home. And seriously, do you really want your beloved domicile to feel like a crowded train station, with numerous, highly detailed military figures looming out at you from all corners? Okay, maybe you would. (Me too. HA) But. imagine slogging into your kitchen for a late-night snack and having to carefully navigate around some big dude with a lightsaber or a full-size Shore Patrol Sailor blocking your way to the fridge. “Excuse me, Petty Officer. I believe that was MY left-over cannoli!” (HA) To most collectors, large figures like these are better off left to a museum, where “keeping your elbows in” is considered standard operating procedure, not nighttime necessity. And as we all know, unlike their 1:6 scale counterparts, full-sized 1:1 figures are typically statues or mannequins—NOT poseable action figures. That means you probably won’t be able to reposition your giant soldier’s annoying bayonet out of the way. And after backing into it a couple of times, even the most ardent collector can get a little “peeved” at “that damned Doughboy” in the living room. Some 1:1 Joes function as public “artwork” as well. 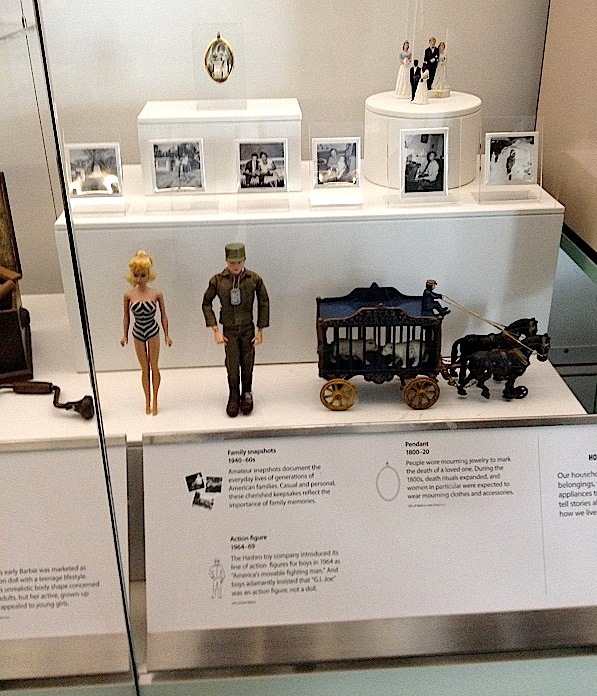 This life-sized “little green army man” is a perfect example (see photo at left). 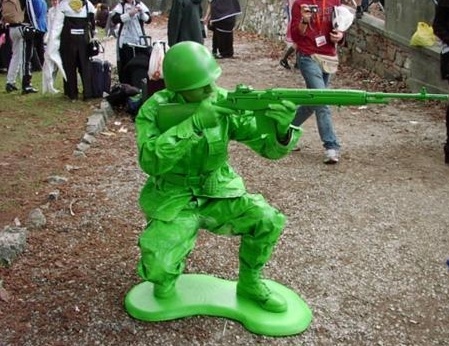 It appears to be a photo-realistic, giant plastic toy soldier. But it’s actually a LIVE contestant in a cosplay competition at Italy’s 2008 Lucca Comics & Games Show. Cosplay is short for “costume play,” and is a performance art method in which participants wear costumes and accessories to represent a specific character or object. Passersby immediately mistook this contestant for an inanimate prop. He had done a perfect job with his impersonation! Finally, as shown in the slideshow photos at the top of this article, collectors no longer have to “wait and wish.” There are now 1:1 scale figures being sold in many big box stores near you, as well as online from businesses such as lifesizestatue.com. 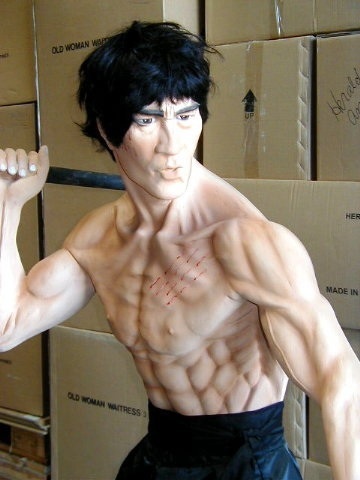 Bottom Line: Most of these 1:1 scale figures are made of fiberglass resin with other materials and are offered in a wide variety of styles, including military branches and celebrities. Prices range from $700 and up. So, if you plan on starting your own 1:1 scale action figure collection and want to “Collect them All,” remember to check everything else at the door. Because soon, there won’t be any room left in the house—for YOU! Slowly but surely, things seem to be returning to normal at Master Collector, the online headquarters for the national GIjOE Collector’s Club. Since February, when their shopping cart system was rudely hacked into submission, the organization’s website has remained very quiet. Currently, the site’s store section is still down, as you can see HERE, but a recent email from the club’s Editor-in-Chief, Brian Savage, finally offered a glimmer of hope. The club recently posted this warning sign outside their headquarters.